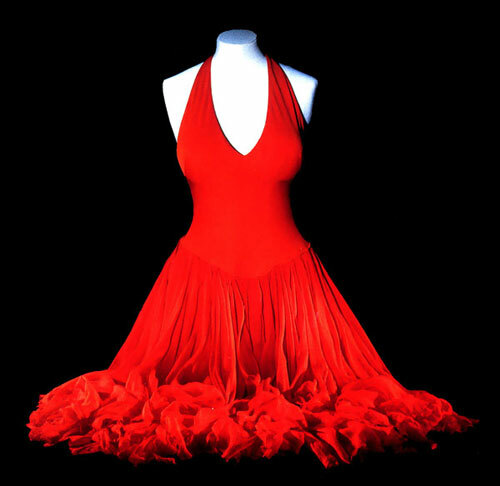 From the personal wardrobe of Marilyn Monroe: A scarlet silk halter dress, featuring full skirts of matching layered scarlet chiffon. Worn by Marilyn Monroe in a series of photographs to advertise the Warner Bros. film The Prince and the Showgirl, 1957, in her well-known, provocative sitting for Milton Greene, where she was photographed against a black background. Sold with a mounted color tear sheet featuring the actress in the scarlet dress.